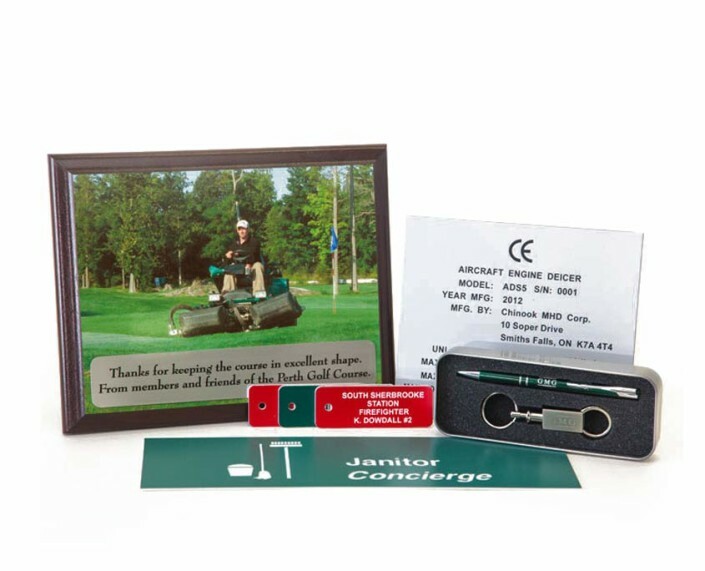 Promotional products; compared to TV, print and online products; consistently rate higher (94%) in customer recall. We have your promos covered. 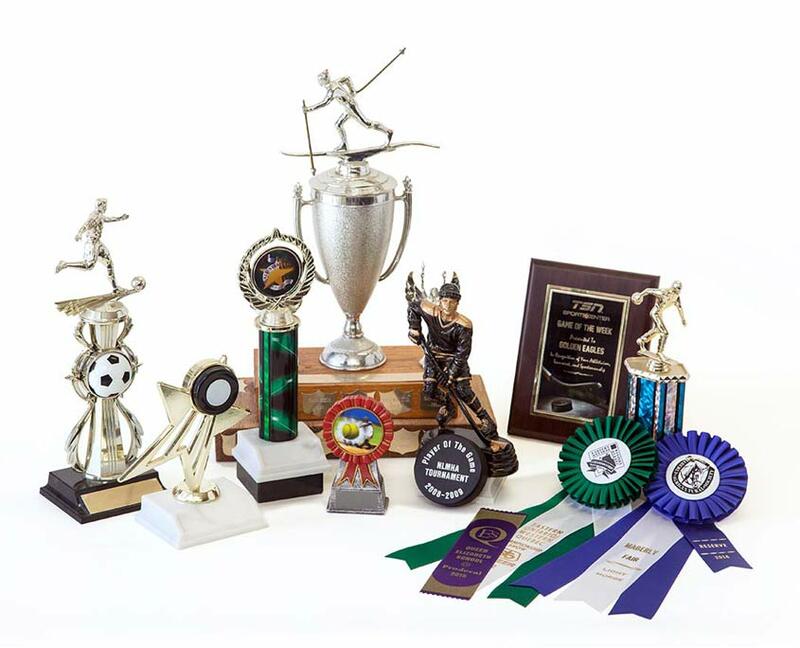 Award your talents with a plaque, trophy or ribbon! Tell your story with engraving and sublimation! Vinyl lettering on signs and vehicles. Proud supplier to many winning teams! Prodecal has been a major component in the professional appearance of The Lotus Wings Building and Reiki Associates. The attention to detail, care given to design and delivery, as well as the incredible sourcing for gifts and company wear has made them the only choice. Their standard of service always leaves me with a feeling of satisfaction while benefiting from their expert guidance. Thank you for making my job easy….I just pick up the phone and call. We have worked with Prodecal on events and programs over the last 10 years or more and couldn’t be happier with the service. The front line staff are attentive and the focus is always on a quality product. They can always find what we’re looking for at a price we can afford. Thank you Heather, Joy, Steve and the rest of the team for taking care of us so well over the years! Our school had not dealt with Prodecal until this year, when we placed a tee shirt order with them. Prodecal worked collaboratively with us to come up with a good and workable design. They also supplied us with sample sizes, which was a huge help in ordering shirts that would properly fit adults and children alike. The shirts themselves were of excellent quality, and competitively priced. Not only was the finished product even nicer than we had envisioned, it was done in record time, and they happily produced extra shirts for us after the fact as well. Prodecal even included a sell-sheet to make the selling process easier and less time consuming for us. The entire transaction went so smoothly from start to finish that we can only wish all companies operated this way! We will certainly be dealing with them again, and are delighted to recommend this company. 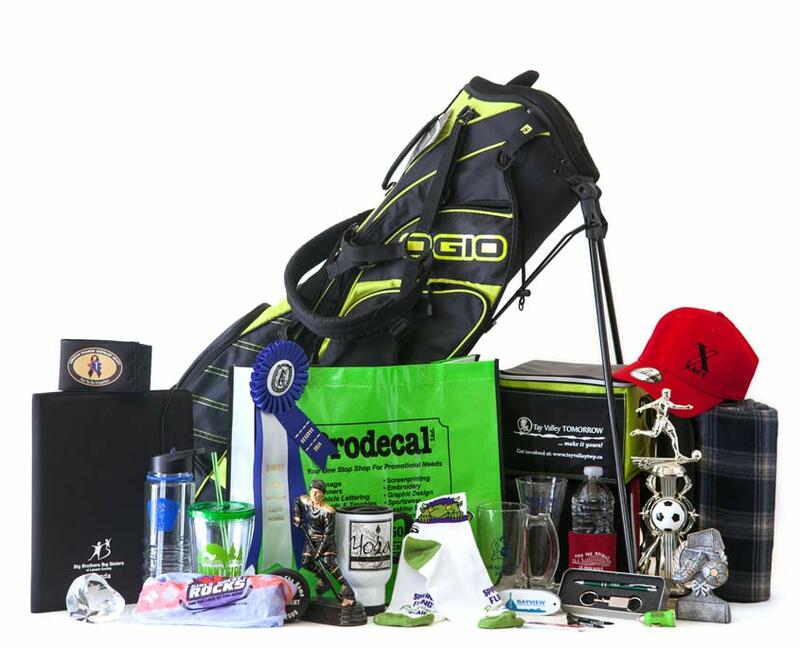 We have been using Prodecal for a number of years and have been extremely pleased with the quality of the products, the competitive pricing and the ability to meet our deadlines, which occasionally are very tight! The attention to detail and the always friendly and cheerful customer service, whether the order is large or small, is greatly appreciated. Debra MonkhouseHR Coordinator and Executive Assistant, Central Wire Industries Ltd.
Prodecal has 40 years of experience in the art of creating the best for the best! One, two or even six colour project? We print them all. Stickers, t-shirts and jackets, signs, pretty much anything you can dream of. Just ask and we’ll come up with the right solution for your needs. The art of embroidery has been around since the 5th-3rd century BC. We haven’t been doing it THAT long, but, we’ve been offering it for over 10 years. Come in and bring us your idea and we’ll make it a reality by stitching it up! You’ve got a team. You want that team to look great. Come see us and we will share all the options in team wear that we carry. We represent a long list of team wear suppliers including Athletic Knit, Kobe, Campea and many more. 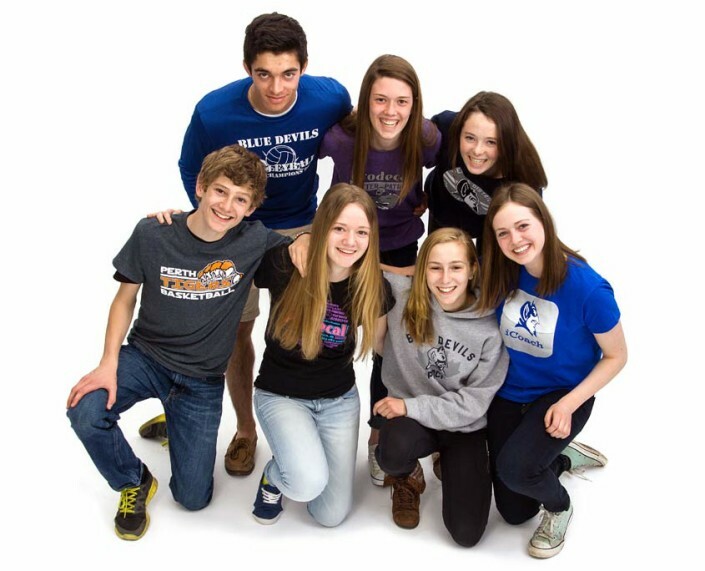 We’ll make you look good and dress your team or group in winning style! Pens and buttons and clips and blings. Balls and bags and tons of things! We’ve got it all within our store. With a custom order, you’re gonna score! 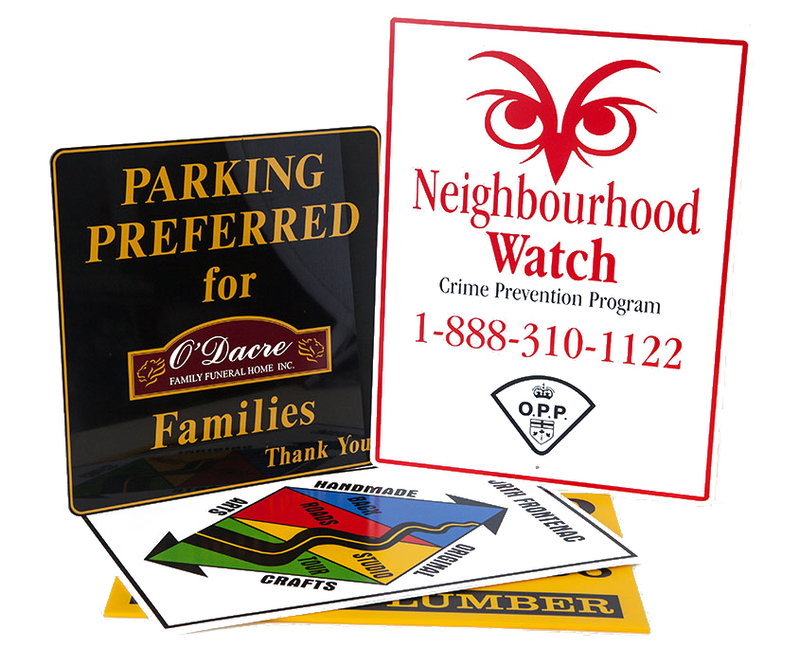 Whatever the need, we can help you promote it with a quality sign. Contact us for your next great project!